See more objects with the tag iron. See more objects with the color grey darkslategrey lightgrey or see all the colors for this object. This object is not part of the Cooper Hewitt's permanent collection. It was able to spend time at the museum on loan from Molly Seiler	as part of Passion for the Exotic: Lockwood de Forest, Frederic Church. It is dated 1884–1900. Its medium is cast iron. Like other designers during the Aesthetic and Arts and Crafts period, de Forest thought about designs for the complete interior—including firebacks. 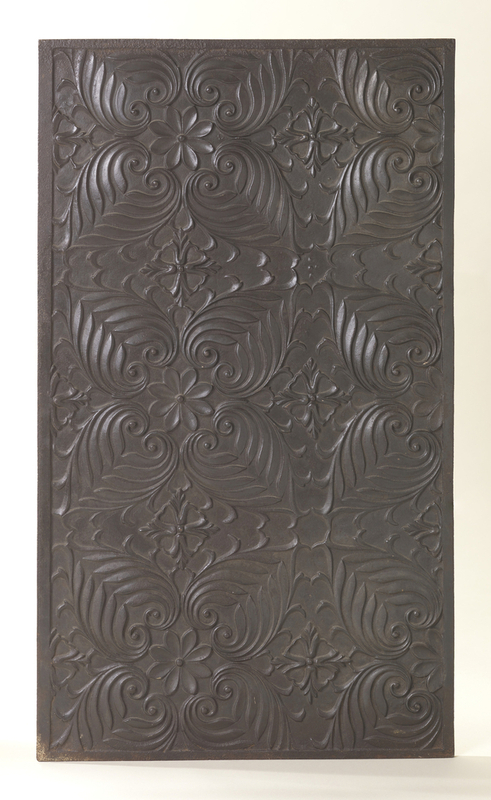 These cast-iron panels could be arranged in a fireplace to add design continuity and radiate heat. It is credited Collection of Joe and Molly Seiler.